Lindenhurst, NY (March 23, 2019) – Early this morning, March 23rd, police responded to a hit-and-run pedestrian crash that took place outside of a bar. The pedestrian was identified as a man from Wyandanch. Allegedly, around 5:00 a.m., 28-year-old Kawon Williams was involved in a bar fight in the rear parking lot of the Brewhaus Pub. After the fight, police say that Williams was struck by a vehicle that then fled the scene. Williams was quickly transported to the Good Samaritan Hospital Medical Center but tragically passed away while there. Detectives are still working on determining who the liable party is as the investigation continues. Our sincerest sympathies go out to the loved ones of Kawon Williams, and we hope they are able to find peace and strength during this traumatic time. Pedestrian accidents tend to be extremely injurious, or even fatal, due to the fact that these parties are very vulnerable to serious results. This is made even worse when a driver then decides to flee the scene of an accident, which can create even more complications during this already difficult time. 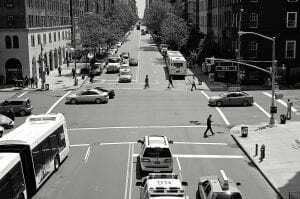 Our wrongful death attorneys in New York have handled a wide array of cases involving pedestrians and are here for your family during this challenging time. At Hach & Rose, we understand how desperate your scenario might be. Perhaps after losing a loved one, you have been pushed in a bad spot emotionally and financially and left to pick up the pieces. Luckily, you have help every step of the way. Please contact us at 212-779-0057 to find out how we can assist you.